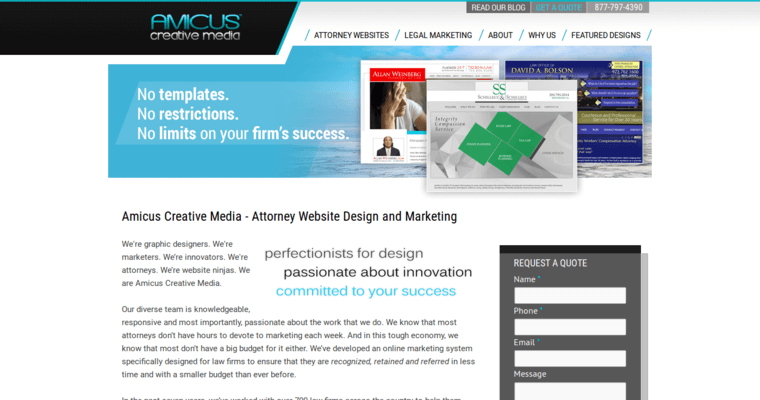 Founded seven years ago by attorneys in Port Washington, New York, Amicus Creative Media was created to provide expert web-based services for law firms. 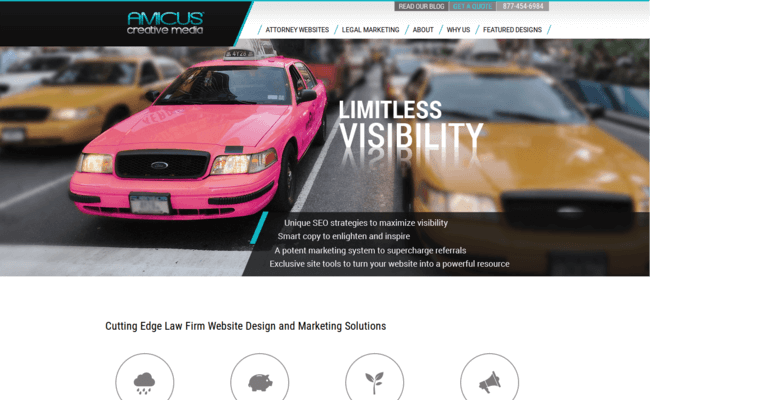 With packages ranging from dynamic, rich websites to goal-driven marketing techniques, Amicus Creative Media provides clientele with reassurance that their marketing and web design needs are in good hands. 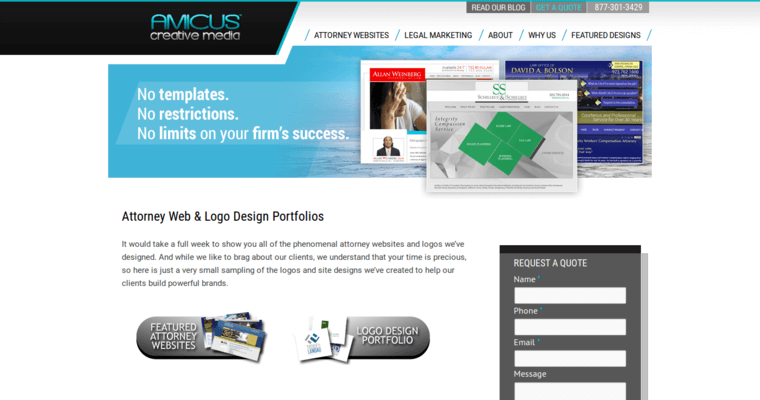 With over 700 law firms as satisfied customers, Amicus Creative Media works with law firms of any size. Focused on strategically building a brand, improving global web presence, Amicus Creative Media is able to provide an all-encompassing service that is tailored to each individual firm's specific needs. Law firms who are interested in improving their brand's web image or refining their current identity need not look any further. Amicus Creative Media is the solution.